Simple Yelp search using Rubymotion. My First Rubymotion app! Uses Yelp API v1.0 so search by location. Allows you to filter results in a table view. Clicking on a results will redirect you to the mobile yelp page. Brewers Association Styles (by Mohawk Apps) is the UNOFFICIAL go-to guide for all your beer style guide needs! The complete Brewers Association 2013 style guidelines in your pocket! The app is free (as in beer) and open source. RainCloud (by @forrestgrant) is a free iPhone app that notifies you when critical cloud infrastructure services and APIs have downtime, performance issues, and other similar failures. Coowl (by @puelocesar) is a photo editing/effects app with a really well done menu system and sharing mechanism. This was the genesis of ProMotion. ClearSight Studio (Jamon Holmgren's company) built the app for Kijome Software, a small app investment company. We extracted ProMotion from that code. TipCounter was built by Matt Brewer for bartenders and servers to easily track their tips and analyze income. Used ProMotion and the development was a lot of fun! Explore the braille alphabet in a high contrast app designed specifically for the visually impaired. Audio cues and device vibrations aid in learning. BraillED was created by Matt Brewer and uses ProMotion, motion-speech, motion-launchpad, and more. Have an interest in crime statistics and locations? Live in Winston-Salem, NC? This hyper-local and open source RubyMotion app uses a mixture of custom UIViewControllers and ProMotion for ease of setting attributes and adding views. Check it out on the App Store or fork it and contribute! Now you have a full copy of the BJCP Style Guidelines at your finger tips! Whether you're a beer judge, a homebrewer, or an enthusiast, this free app will come in handy whenever you want a quick lookup of a style description. This application is open source! Check out the source code! This app is the perfect companion for you at beer competitions! Use the Flavor Wheel to explore and help identify different off flavors and aromas in a beer. Tap and drag around the SRM Spectrum to identify the closest SRM to the beer you're judging. Odorik is an iOS application that allows you comfortably set up callbacks through your account with Czech VOIP provider of the same name, Odorik.cz (run by miniTEL s.r.o.). Dropzones lists all current U.S. Parachute Association (USPA) member dropzones in an easy to navigate interface. Because these dropzones are USPA certified, you can be assured that the staff, training, equipment, and airplanes are top-quality! Quickly find the dropzones closest to where you are now! Search by state, region, aircraft, services offered, and training capabilities. See a map of every USPA dropzone in the US! 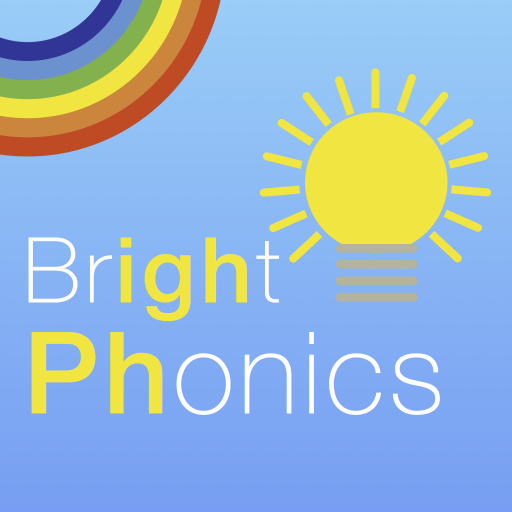 Bright Phonics is an educational app to help children learn to read. It is designed to be the most efficient way for children to learn and memorize English phonemes. Bright Phonics uses the scientifically supported Spaced Repetition learning technique to enable fast, efficient learning. Tweet @jamonholmgren if you built an app in ProMotion and want it included here!